Both the Lions and the Dolphins rank outside the top half of the NFL in red zone touchdown percentage on offense; both teams settling for field goals far too regularly. Defensively, both the Lions and Dolphins are above average at keeping teams out of the end zone when they reach the red zone. Any NFL totals bettor will tell you that one of the key aspects of the handicap is trying to gauge the ratio of field goals vs. touchdowns. Given how both teams have played on both sides of the ball throughout the first half of the campaign, it’s quite reasonable to assume that the trend of ‘more field goals and fewer touchdowns’ will continue this week. On a ‘yards per play’ basis, Miami has the single best defense in the NFL, with the Lions tied with the Broncos for #2. When it comes to defending the pass in particular, both teams are elite as well. Miami has allowed an NFL best 6.0 yards per pass attempt while Detroit ranks #5 in the NFL, allowing a modest 6.7 yards per attempt. Offensively, the Lions ‘big play’ passing game is right around the league average, 7.4 yards per attempt, while Miami ranks #28, gaining just 6.7 yards per attempt. Just like in the red zone, the season long numbers clearly show the defenses trumping the offenses. And yet we’ve seen Over money show in the early week betting markets, probably due to the fact that Calvin Johnson is expected to suit up for the Lions. 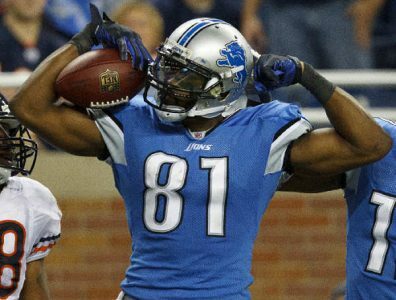 While there is no doubting Megatron’s ability to stretch the field and create big plays, the Lions scored 7 and 19 points in the last two games that he was fully healthy, against a pair of mediocre defenses (Green Bay and Carolina). Coupled with their impressive defensive showings, the Lions haven’t cashed a single Over ticket since their Week 1 win on Monday Night Football against the Giants, 0-6-1 to the Under in their last seven ballgames. That Week 1 win over New York is also the last time Detroit scored more than 24 points. Even with Johnson and Reggie Bush likely to play here, I’m not expecting a ‘march up and down the field’ performance from the Matthew Stafford and company against this underrated Dolphins stop unit. Miami is coming off a near perfect offensive game at home against San Diego last week scoring three touchdowns with four field goal attempts on their first seven drives. That game marked their third consecutive Under cash despite the fact that Ryan Tannehill and the offense hung 27+ in all three of those games. I’m not convinced that we’ll see similar offensive success for Miami this week, because there’s a bad fundamental matchup in the trenches here for Miami, facing arguably the single best defensive line in the NFL. The last time Miami faced an elite DL on the road, they managed only 10 points at Buffalo. A similar result here would be no surprise to this bettor! Take the Under.